The gas leak in the wellhead equipment at one of the wells, operated by the Lunskoye-A production platform of the Sakhalin-2 project, was liquidated. The accident happened during the weekend after the gas leakage sensors on the platform, located in Sea of ​​Okhotsk, were activated. Following the accident large part of the crew on board of the rig were evacuated to offshore service vessel and the production was shut down. After the gas leak was stopped, the personnel remaining on the platform started carrying out measures to inspect the equipment and restart the work of the rig. 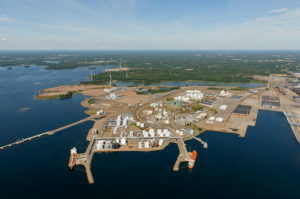 The production of liquefied natural gas (LNG) has not yet been renewed, because of additional inspection and environmental survey. “The leak has been eliminated. We are considering the possibility to return on the platform the personnel who are now on duty ship in the sea”, said the press service of Sakhalin Energy. 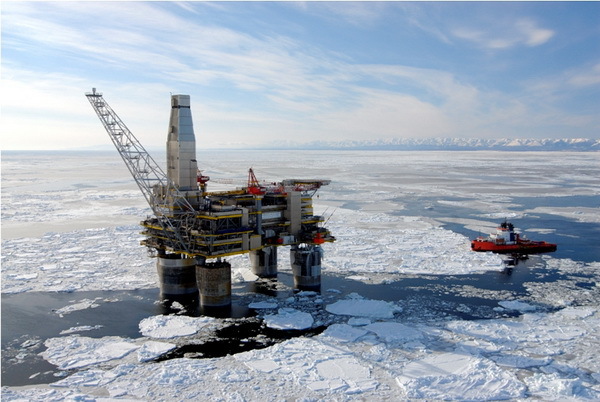 “The personnel remaining on the platform are carrying out measures to inspect the equipment and restart the work of the Lunskoye-A offshore rig”, adds the statement. As Maritime Herald already reported, on Sunday afternoon the automatic gas leakage sensors on Lunskoye-A offshore platform were activated, which caused evacuation of the 92 people to the rescue vessel.